The Marvel adventure follows Stephen Strange, a hotshot neurosurgeon whose career is derailed after a horrific car accident. In a desperate attempt to get his life back on track, he stumbles into the discovery of magic. The film co-stars Tilda Swinton as the Ancient One who is Strange’s mentor in the magical arts. Chiwetel Ejiofor plays Baron Mordo, Strange’s rival and Mads Mikkelsen has just been cast as an unknown villain but he’s described as a sorcerer who breaks off into his own sect, his belief is that the Ancient One is just protecting her own power base. Rachel McAdams and Michael Stuhlbarg also star. 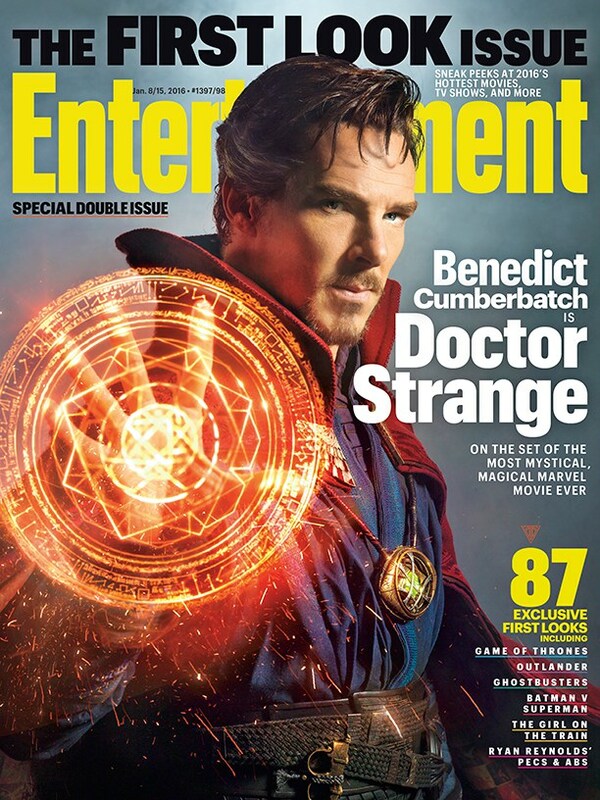 Shooting on ‘Doctor Strange‘ is currently filming and will hit theaters November 4, 2016. This entry was posted on Monday, December 28th, 2015 at 2:32 pm	and is filed under Comics, Film, News. You can follow any responses to this entry through the RSS 2.0 feed. You can skip to the end and leave a response. Pinging is currently not allowed.